These days the wild elephants come to bath every hot afternoon. Young males are the most active ones. In this picture I took full view of all three elephants. This must be a wonderful place to provide this view of elephants bathing. I like the variety of poses revealed in your composition here! 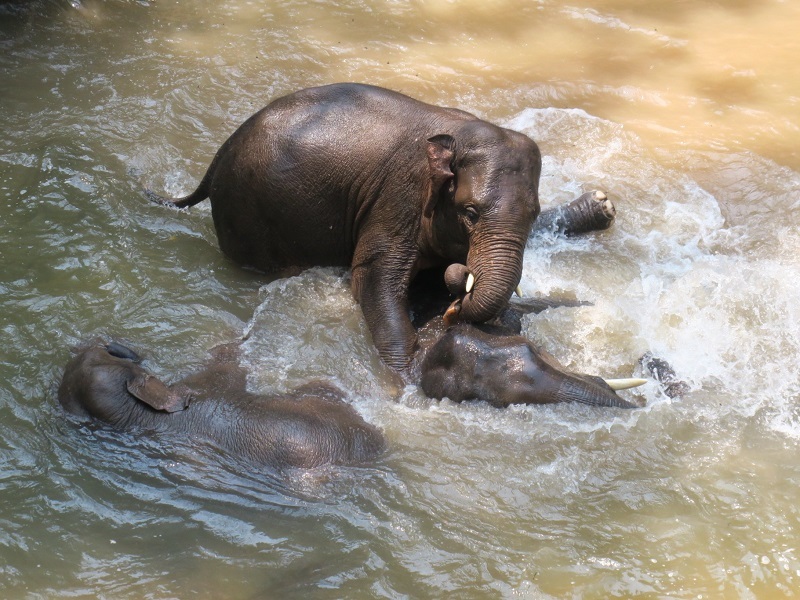 Elephants love to play in the water and you got a nice view of these three having fun! I like your composition here, there is a nice flow from one to the other. A fine image, but I remain fond of the framing in your previous image. Nice interaction between the animals here.